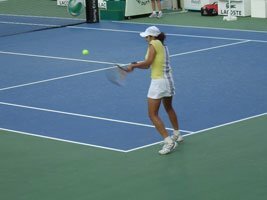 Tennis Training Guide: Excel On The Court Renegade Style (Part 5)! 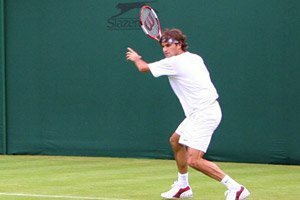 Through the course of this guide, we'll examine ideas behind proper tennis training, Renegade Style. This comprehensive training guide, with hard work, will improve your agility, speed, fitness and more! Read on. The weaknesses of modern sport training quite oddly started with the modernization and business growth of training. Long before this modernization, sport training possessed an air of simplicity to it. Athletic conditioning, while this may seem archaic to some, consisted of basic training measures and quite often involved work associated with manual labor and active "play" in sporting situations. Unfortunately the general level of athleticism and work threshold in sport (and society) today is at deplorable levels. In its place there has been an intense specialization of weight room work with a misguided training focus to go along with a "soft" physique. Within modern circles today, the phrase GPP (General Physical Preparation) has become a popular "buzz-word" to be bantered around now by virtually every self-proclaimed "expert". Yet when I began to discuss this area nearly twenty-five years ago it was unheard-of and for roughly twenty of those years it was scoffed at. And while it has become accepted, it is generally only used as a marketing phrase so that they may utilize non-conforming objects and rarely understand how to implement a proper and effective general physical preparation into your program. As we consider the use "GPP" in the market today it has unfortunately involved into a specialized practice of non-conforming object lifts which naturally goes against the notion of generalized physical preparation. Not only does this subject the individual to a litany of repetitive stress injuries but it of course doesn&apos;t satisfy the training intent. As you consider the overall training regime for Tennis, metaphorically it will resemble a pyramid where broad generalized athletic attributes lay the solid foundation for sporting skills. Lay The Solid Foundation For Sporting Skills. Unfortunately given that general athleticism has dipped to such deplorable levels, many athletes sport-skills develop without corresponding at levels of general athleticism and their playing career&apos;s path is halted. With a proper work threshold development program recovery from strenuous activity will be improved, motor skills enhanced, the athlete will be able to adjust to situations under duress and learn that adversity is something you overcome, the core/trunk region will be stabilized along with a strong posterior chain and movement will be dominated by a powerful lower body. Weighted and non-weighted programs will be designed such that overall time of training per section is equal but that can be adjusted to suit an athlete&apos;s goal and needs. It is crucial that you remember not to simply use mediums that you enjoy - remember this is "generalized" training. Weak spots should be eliminated, making them into strong suits as you learn to make the difficult, easy. [ Click here to learn more. ] 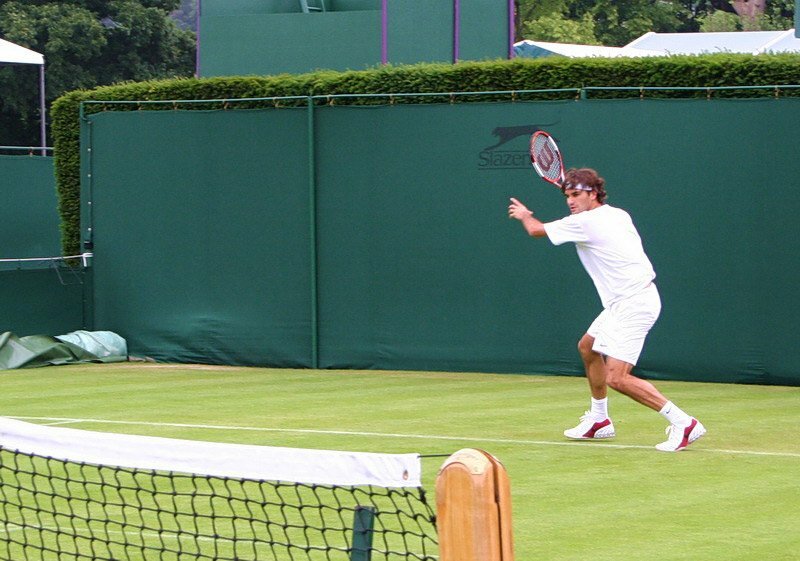 Tennis Training Protocol! 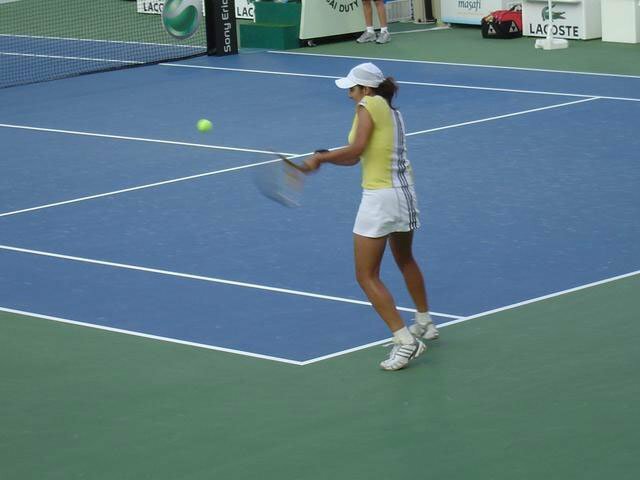 Ever wonder what it takes to be successful tennis player? Get the competitive edge with the following training insight and sample 8 week training program. There is a virtually endless array of movements and each depends greatly upon the athlete&apos;s stage of development and should not be impeded by expensive or numerous pieces of exercise equipment. It should be stressed that while I will note options with basic calisthenics&apos;, other sports that encourage tactical imagination such as Football ("Soccer"), European Handball, Water Polo and Volleyball are superior in many ways. Returning to the calisthenics option within the first phase of training, the non-weighted variation of GPP typically involves "simple" bodyweight calisthenics further broken down into active recovery (i.e. jumping jacks, shuffle splits) along with semi-explosive work (i.e. burpees/squat thrusts and "chinees"). Each section of "active recovery" and "semi-explosive" work consists of two consecutive sections of thirty seconds each and thus an entire "circuit" equals two minutes of consistent movement. For typical users of the Renegade TrainingTM system, other areas of training certainly can be considered part of the overall "generalized" development, such as hip mobility work and tumbling, will impact upon generalized development but are considered more static in work are less quantifiable, but will have a decided and notable cumulative effect. Of The Overall "Generalized" Development. Within non-weighted GPP, foot contacts (sub-maximal) are generally in the 1:1 ratio in active recovery (30 movements per 30 seconds) with an acceptable range of .33-.5:1 (10-15 total movements per 30 seconds) and graphically training volume will exhibit a wave type pattern in both time duration and foot contacts. Total foot contacts will vary between eighty and ninety per two-minute circuit with recovery-based contacts representing 60-75% of that total. Click Here For A Printable Log Of Non-Weighted Variation Of GPP. Sessions of this type of be utilized following more intense resistance workouts and prior to static flexibility work. In days preceding resistance the "GPP" component of workout involves less strenuous semi-explosive work such as (i) vertical hopping and (b) slalom side-to-side hops and will emphasize more medicine ball work or preferably as noted, active participation in complimentary sports. [ Click here to learn more. ] Training For Tennis! 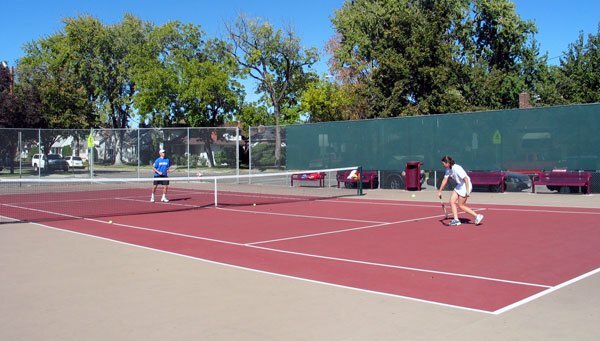 Improve your tennis game now! Bring incredible ability into your arsenal and confidently say you have an ace in your bag! Within the Renegade programs non-weighted GPP will start with 6 minutes of total work without rest in between that increases total duration over time. Recovery work must always be done in equal proportion to semi-explosive work from a timed capacity while always ensuring top quality form in all the movements. It cannot be stressed enough that good postural alignment must be maintained throughout the workout period. Poor posture such as allowing the hip to drift into internal rotation places the limb at significant risk. When an athlete learns a motor pattern they will typically tend to repeat this motor pattern. By not re-enforcing the proper position during training, the athlete is allowed to learn this poor postural position during the performance of maneuvers involving the limb resulting in a higher risk of injury. [ Click To Join The Thread. ] Tennis As Cardio. I&apos;m gonna go play tennis right now and I was wondering if anyone can post up a chart to see how many calories I burn playing tennis. A second point that needs to be understood at this time is the concept of postural activation. Simply stated the core of our bodies set up the limbs for movement. If the limb is already in poor position, it must either return to a more normal position before movement is initiated, or it moves in a dyskinetic, less efficient pattern to perform the task. The net result is a delay in reactive time for the athlete and thus results in a slower athlete. Within weighted versions, there is even greater latitude in exercise selection but far less complicated in design. The major concern I have is that it roughly equals the overall time duration as non-weighted work in the exercise. Given that there are a wide variety of needs and mediums much of this can be tailored to suit the athlete&apos;s concerns, personal likes and training environment. However with the advent of the form-fitting weight-vest these decisions are extremely simplified. Removable 1 lb. packs for weight adjustment from 1-20 lbs. Distributes weight evenly around torso to help improve cardiovascular conditioning and strength during workout. The use of a weighted vest makes choices quite simple. With the use of a fully loaded vest you can basically eliminate the needs of cumbersome or impractical mediums, maintain and simply hike or perform basic bodyweights movements. Walking/lunging on soft uneven surfaces will have an enormous real-world carryover to a powerful, impenetrable core and strengthening ligament and tensile strength. If you are able to make use of an uneven surface, start easy with it as you will be surprised by the level of difficulty. Within your broad training program please note this is generalized work only and intense periods of specialization are necessary for maximization of athletic preperation. As competition nears the focus needs to be firmly upon sport-specific preparation (SPP) and at the time the athlete is both considered both physically prepared for technical work and the psychological demands ensuing. Please note that modestly intense GPP type movements can sometimes be used in SPP phases only to assist with muscular recovery or to alleviate tension but that is rarely done. In fact, a more advanced athlete&apos;s use of GPP will be significantly different than a less-developed athlete as much of their success is determined upon finite improvements of technical skill.